It was a HUGE transition but I did it! After 16 yrs of running my community art & wellness studio I gave it up to simplify and have more time for my craft. I closed Meiklem Kiln Works/ Centerspace Wellness in July of 2018 and opened GLAZE Handmade in August ! It’s been such a wild ride but I’m thrilled to have the opportunity to practice my craft everyday. I couldn’t have done it without the love and support of my parents and husband and i’m overwhelmed with gratitude at the outpouring of support from the community. If you’re in Southeastern CT I hope you’ll visit the shop! It’s always stocked with current work and I also take custom orders. GLAZE is located at 530 Stonington Rd, Stonington, CT. Please follow on FB & Instagram @GlazeHandmade for regular shop updates. I'm so honored and excited (*add squeal of excitement here!) to have been interviewed for an awesome podcast, The Potters Cast. The Potters Cast is a podcast that features interviews with potters from all over the world. I met the entrepreneur who started the podcast for potters a few years back through Instagram and I instantly fell in love with the show. It's a great podcast and I'd love it if you wanted to give my episode a listen, and please send me a comment through social media if you do! Listen Here! Make sure to give Paul Blais a shout out on Instagram too! @pdblais his feed is full of awesome pottery photos from potters all over the globe! Check out my article "Eat Your Veggies" in the Winter issue of CT Food & Farm Magazine, an online publication. This was a joy to research and write and I loved working with photographers Amma Rhea and Lisa Nichols! 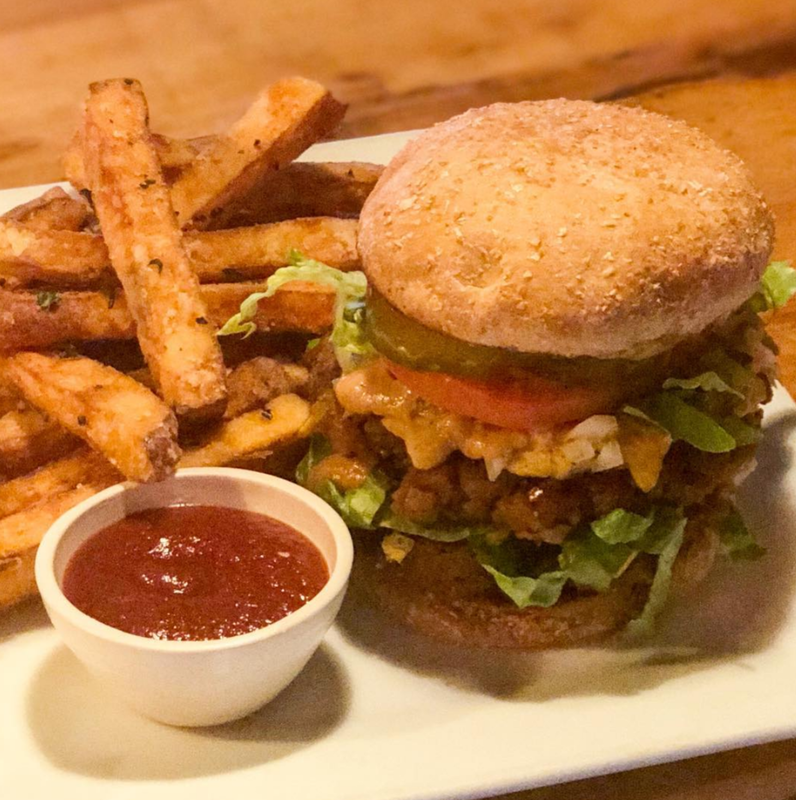 Click here to read the article pages 154-175 and be sure to continue on to pages 176-187 to view a list of just a few CT vegan eateries! Serving it up Vegan Style at ION! I'm so thrilled to not only have work for sale in a long time favorite vegan restaurant ION in Middletown, CT but now you can also find my little sauce bowls on many of their plated menu items. These little bowls are often filled with house made ketchup, dips for appetizers and more! 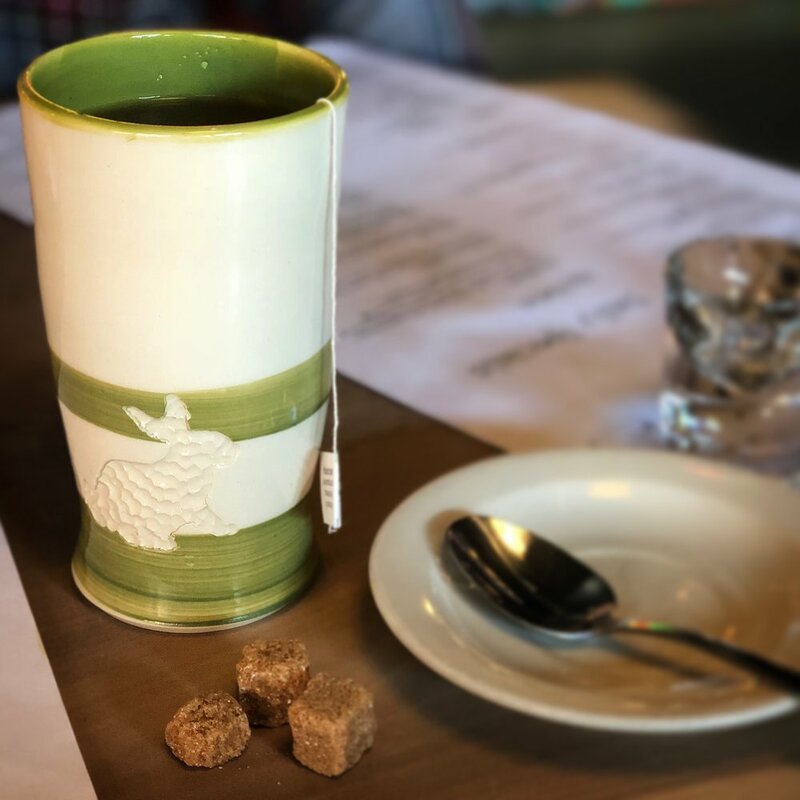 Order a tea and it might be served in a rabbit tumbler too! 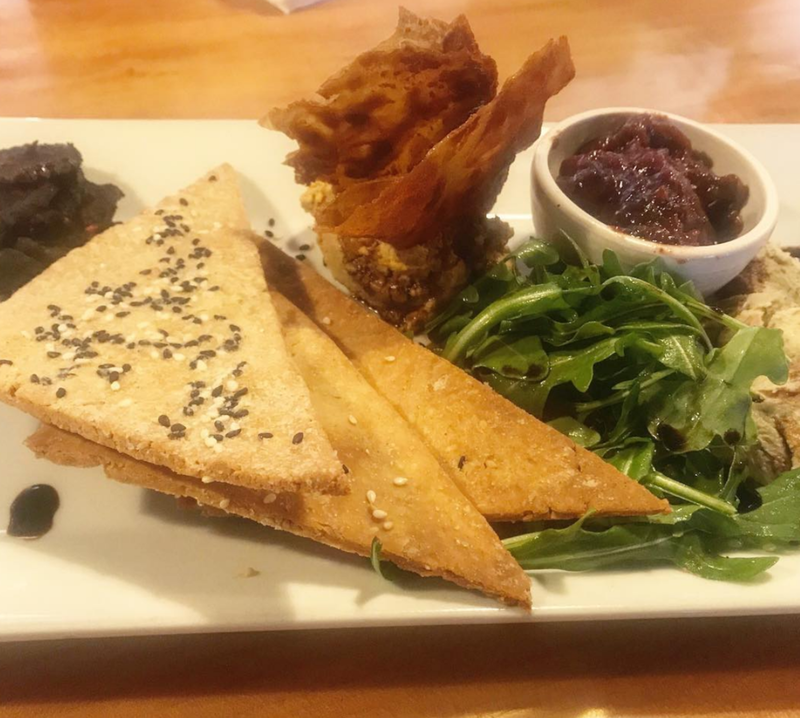 If you visit the restaurant be sure to mention you heard about them from The Vegan Potter! I couldn't be more proud to support the amazing vegan food these spectacular folks create and serve! The restaurant is warm and inviting and the food is served with love and compassion. 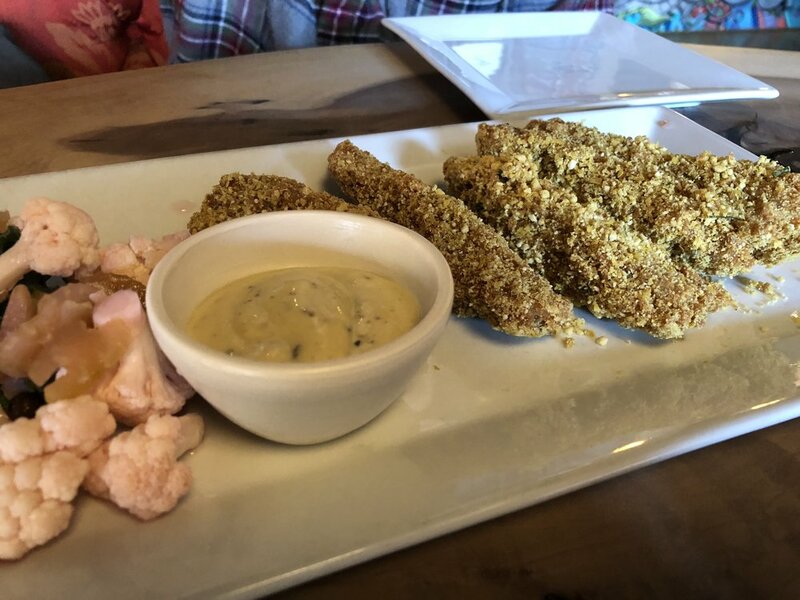 From smoothies to house made sweet potato fries, fresh salads, sides and sandwiches, they always have scrumptious daily specials and delightful desserts like coconut cake! For vegans and omnivores alike, ION is sure to please your taste buds! Check out my retailers page and click their logo for more info!